Last Friday afternoon, my mind went off on a tangent again and this time, I felt like I wanted to do something with tuna. After work, I made a short trip to the grocery store for some ingredients. I debated on using udon or ramen, but opted for ramen again. 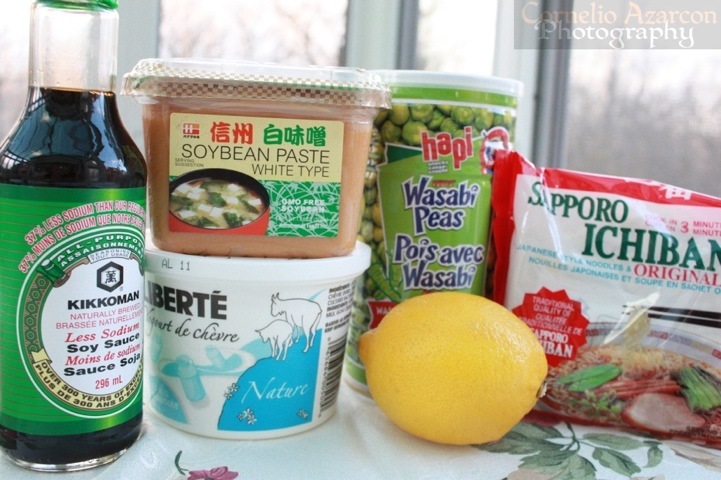 I wanted to do some yogurt and miso based dressing for the noodles with some added kick and creativity to it. I was prepared to have some customers for this dish, but when I got home, I found myself all alone, which was great, so I could make everything in small quantities. The recipe below serves one person. In a bowl, mix all the ingredients together except for the ramen noodles. Boil water and cook ramen noodles for 2 minutes. Strain ramen noodles to remove water. Add ramen noodles to the dressing and mix carefully to avoid mashing the noodles. 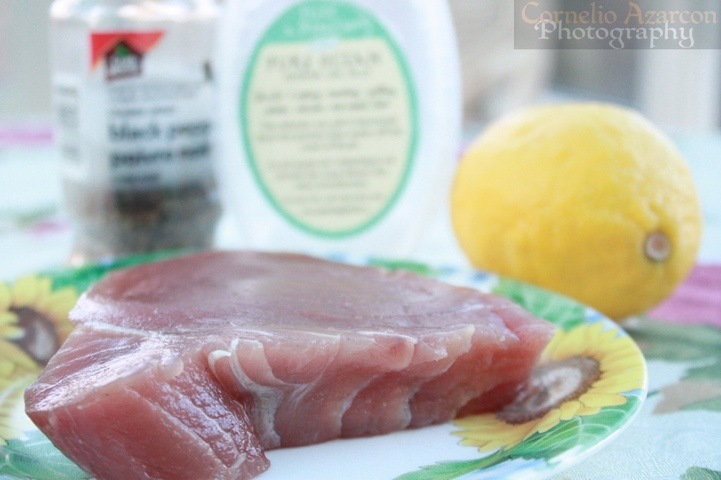 Squeeze some lemon juice onto the tuna steak. Add a dash of ground black pepper. Flip the tuna steak onto the other side. Coat with a little olive oil. 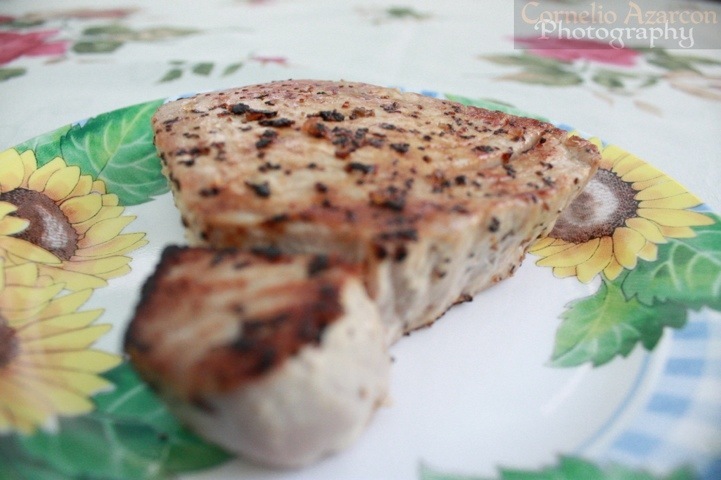 Put tuna steak in pan and sear each side for about 1 to 1 1/2 minutes. Make sure to not thoroughly cook the tuna steak. 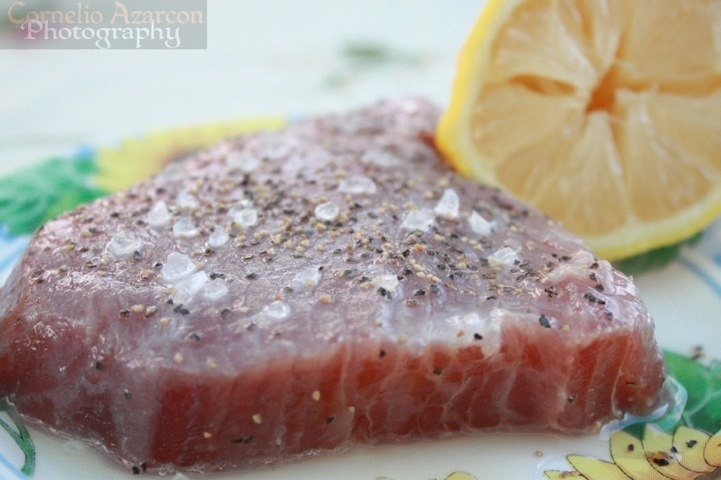 Slice seared tuna steak into strips. Put ramen on a plate. 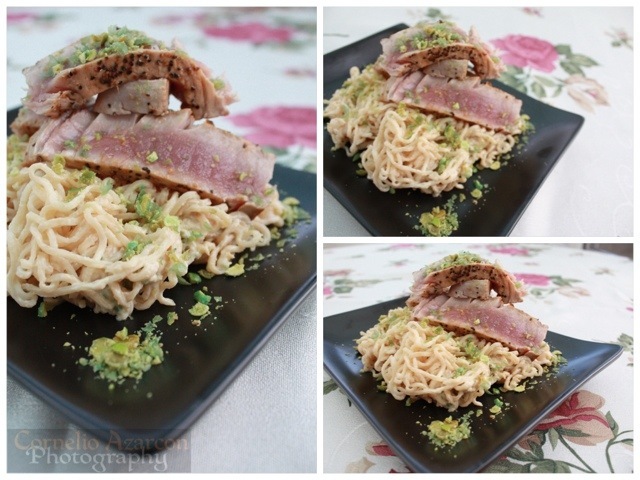 Put seared tuna steak strips on top of the ramen. Drizzle a little bit of crushed wasabe peas for added colour, texture, and flavour. Delicious and it looks so easy to prepare too! Thank you very much for your kind words and for your support. I’m glad you enjoy my work.